Prep week is over and the new 90-Day Action Plan has officially kicked off TODAY – we hope you’re ready for 90 days of epic growth and momentum. 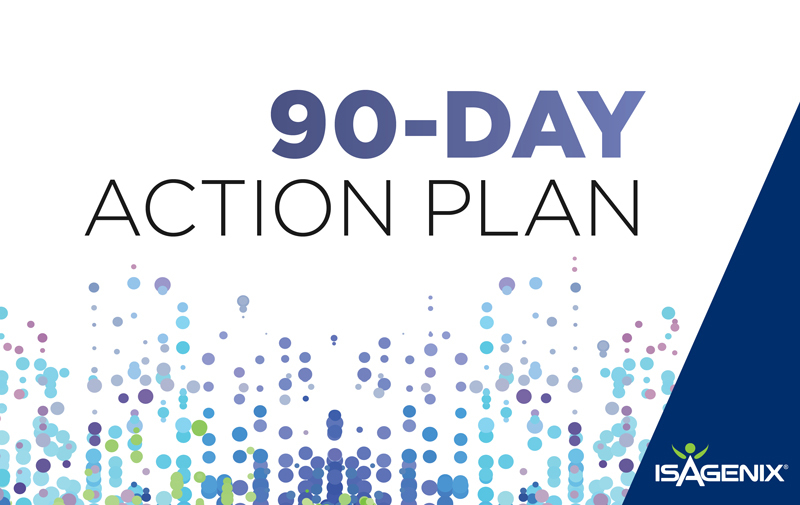 Haven’t yet downloaded your 90-Day Action Plan booklet? It’s not too late! Head to ANZ.IsagenixBusiness.com to grab yours and visit the ‘Training Centre’ in your Back office for weekly tasks. Don’t forget, you can receive your 90-Day Action Plan inspiration by tuning in to Celebration 2018 at IsagenixLive.com/ANZ-Celebration until 4 July 2018. For those who attended Celebration 2018, you’ll enjoy On Demand FREE. Those who didn’t attend can enjoy the same content for just $99. To help give you the push you need, we’re bringing you tips from the top through five 90-Day Action Plan-focused Zoom Calls with top leaders. From connecting and developing leaders, through to how to utilise the tools of offer and blitz your way through Blitz Week, you’ll receive training from leaders who have elevated their business through the 90-Day Action Plan. Stay tuned to Isagenix Business ANZ Facebook group for Zoom Call announcements and check out Celebration 2018 On Demand before 4 July 2018 IsagenixLive.com/ANZ-Celebration for all the tips and tricks you need to make this the best 90 days of your life.